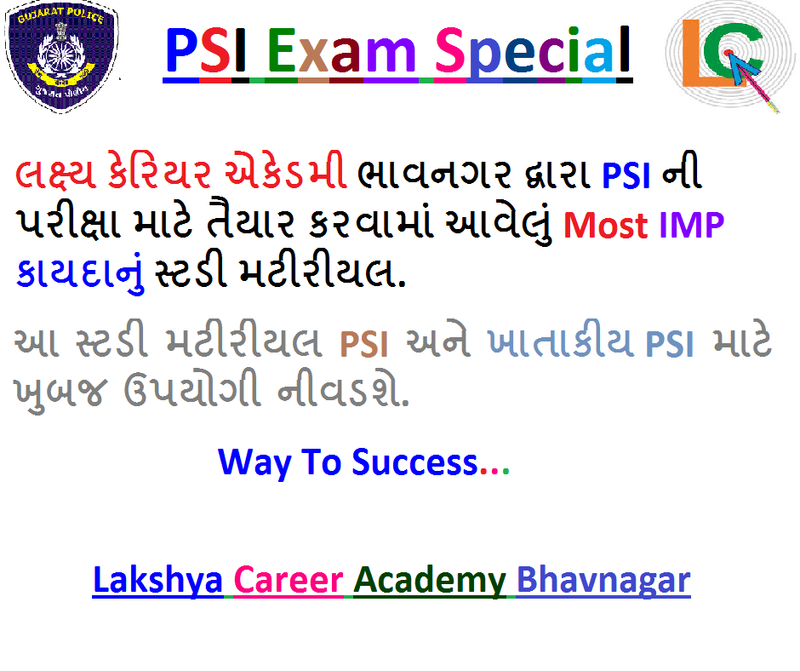 Lakshya Career Academy Bhavnagar Publish Latest And Most IMP Law Study Materials For Police Sub Inspector And Khatakiy PSI Exams. Lakshya Career Academy Director Pandya Sir is Master in Law So, Pandya Sir Publish A Most IMP Law Study Materials For PSI. Lakshya Career Academy Give The Best And Highest Results Of Any Gujarat Government Exams.